How a New Office Desk or a Chair Skyrocket Your Productivity? If you ask any business owner what is their top priority, I bet almost everyone will answer business growth. In the modern world, businesses can experience success bigger than their most daring dreams. However, the most crucial factor to achieving it is employee productivity. Plants are among the most effective solution for lowering stress levels. Furthermore, study performed by the Norwegian government outlined multiple health benefits. The rule to follow here is the more plants in your office, the better! Maximizing the use of existing office space and investing in new office furniture are two sure-fire ways to boost employee productivity. Researched performed in New Zealand shows that ergonomic office chairs and height adjustable desks can boost work efficiency with up to 64%. The modern work environment often doesn’t involve much physical activities, so organizing exercise breaks such as short walks can greatly improve employee productivity. The New Zealand study mentioned above outlined that taking as few as four short walks a day helps improve person’s mood for up to eleven hours. If you want your employees to respect you and be willing to give their best to help you grow your business, you have to keep all promises you make to them. Multiple studies in companies working in various industries showed that almost all employees consider a good manager someone who keeps their promises. If you as a business owner or manager are not happy, your employees also wouldn’t be. Several studies performed both in the United Kingdom and the United States show that more than 60% of employees feel that their manager has major impact on their career. Laughter is not only great for reducing stress at the workplace, but also holds numerous health benefits for employees. If this is really possible in your company, consider organizing such events or simply go with your colleagues to watch a fun movie. People have multiple interests and providing them with the ability to share them is incredibly effective for boosting their productivity. Don’t limit sharing to just work related activities, allow your employees to express their interests and you will be amazed of the results. 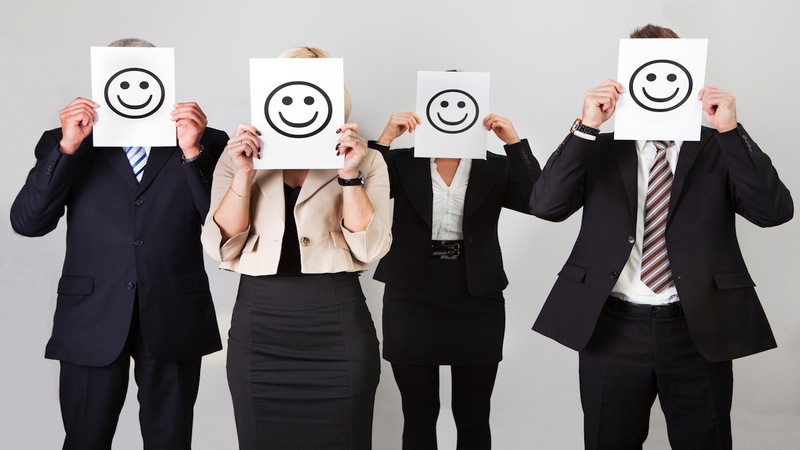 No matter what your occupation is, keeping your employees happy must be your top concerns. The happier your office is, the faster the growth of your business will be.